AT A TIME when Independents are riding high in Ireland’s opinion polls, the most well-known and arguably effective Independent TD of the past 20 years has died. Jackie Healy-Rae was elected three times as a Dáil representative for Kerry, topping the poll in his first general election in 1997. His honesty in putting the interests of his Kerry South constituency often made him a by-word for the localism that stagnates Irish politics. Equally though, it spawned a devoted following that has seen his son Michael take over his Dáil seat and his son Danny and grandson Johnny easily take council seats. But what earned him this reputation? Upon entering the Dáil as an Independent in 1997, he made a deal to support the coalition Government led by the Fianna Fáil party with whom he’d previously been an activist for decades. Fill a few potholes he did with millions of pounds of investment making its way to the area to improve road infrastructure in Kerry. But he earned his local stripes through much more than good deal making and good timing. 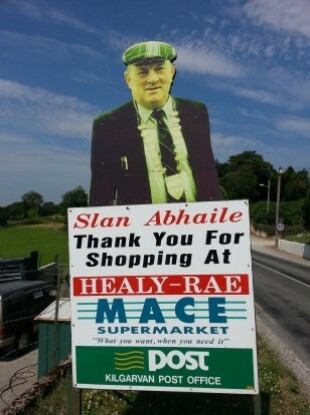 His thirty years of work for Fianna Fáil in Kerry may not have won him the Fianna Fáil general election nomination he sought in 1997 but it did earn him the reputation he and his family have benefited from electorally since. A strong GAA background never hurts either. As a TD in the Bertie Ahern-led government, Healy-Rae was as known for his cap and his speaking style as he was for his contributions. Though not an elected representative a the time, Jackie supported a council motion from his son Danny to allow people in rural Ireland to have ‘two or three’ drinks and still drive. The idea sought to allow gardaí issue permits to people in the most isolated parts of the country, allowing them to drive after drinking some alcohol. Speaking to The Irish Examiner at the time, Healy-Rae said loneliness and suicide are both a problem is rural parts and the idea had some merit. “These fellas live in remote country areas, there should be some concession made for them,” he said. One of Healy-Rae’s last actions as an elected representative was again in coming to the assistance of Fianna Fáil. In the final days of Brian Cowen’s government, Healy-Rae voted with the ruling party to help the Budget proposals pass by just two votes. But his loyalty was not absolute. It emerged following Fine Gael’s election that Healy-Rae threatened to withdraw his support for that government, asking them to stop “this charade of spin and lies”. Jackie Healy-Rae died today at Kerry General Hospital after battling illness for some time. Tributes have come this evening from politicians who knew him, with Fianna Fáil leader Micheál Martin describing him as a man with ‘a very dry wit who never forgot where he came from’. Email “Jackie Healy-Rae: The 'dry wit' that changed Independent politics”. Feedback on “Jackie Healy-Rae: The 'dry wit' that changed Independent politics”.